	assists in development and implementation of quality plans, programs and procedures using quality control statistics, lean manufacturing concepts and analyses. 	Ensures that performance and product quality conforms to established company, customer and regulatory requirements. 	Assists in the review, analysis and reporting on quality discrepancies related to assembly and process. 	May investigate problems and recommend disposition, modification and corrective action for recurring or non-recurring discrepancies. 	Interfaces with manufacturing, engineering, customer, vendor and subcontractor representatives to ensure requirements are met. •	Provide technical support during the NPI process in ensuring that from a Healthcare/Medical device perspective that all FDA, QSR, & MDD standards are achieved and maintained in respect to device classifications. •	Fully competent in the application of quality engineering tools and techniques with key emphasis on validation protocols (DQ, IQ, OQ, & PQ), cGMP, PFMEA’s & support the generation of DMF’s where appropriate. •	Individual with an experienced background in sterilisation, automation, equipment/software validation. •	Individual with an experienced background in manufacturing within controlled environments. •	Individual shall support the external & internally Quality Management System auditing function (auditor trained). •	Individual shall have exposure & involvement in supporting the CAPA system. •	Close liaison and networking with other departments, to provide and drive quality inputs and initiatives into the overall operational activities of the company. •	Support the implementation of Company Policies and GMP. •	Support all company safety and quality programs and initiatives. •	Ensure ongoing compliance with GMP in all practices, recording of events and processes. •	Ensure compliance with all learnings from all GMP training events. •	Other responsibilities may be assigned from time to time as needed, based on the evolution of the company and the requirements of the department/position. 	Reports to Senior Quality Engineer. 	Plant wide Teams and Managers. 	Customers, Contractors, Vendors and Suppliers. •	Degree in Engineering / Science (Mechanical / Electronics / Chemistry) discipline. •	3 to 5 years’ experience in a Quality Engineering role. •	Fully competent in Quality Management Standards. •	Excellent Leadership skills, ability to motivate team members within the organisation. (Energetic & enthusiastic individual). 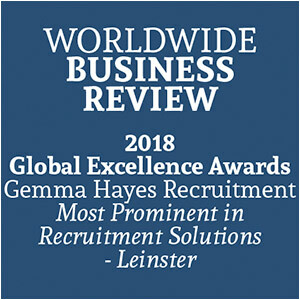 •	Excellent organisation, communication, computer & presentation skills. •	Excellent initiative, decision making and be able to work in a core team environment. •	Solution driven with emphasis on performance and results. Due to the urgency of this vacancy, our client is unwilling to go down the route of work permits, visas and sponsorship. It is therefore essential that all candidates have full authority to work in Ireland.